One of the criteria that every camera review site uses in evaluating the quality of a new camera is image noise. 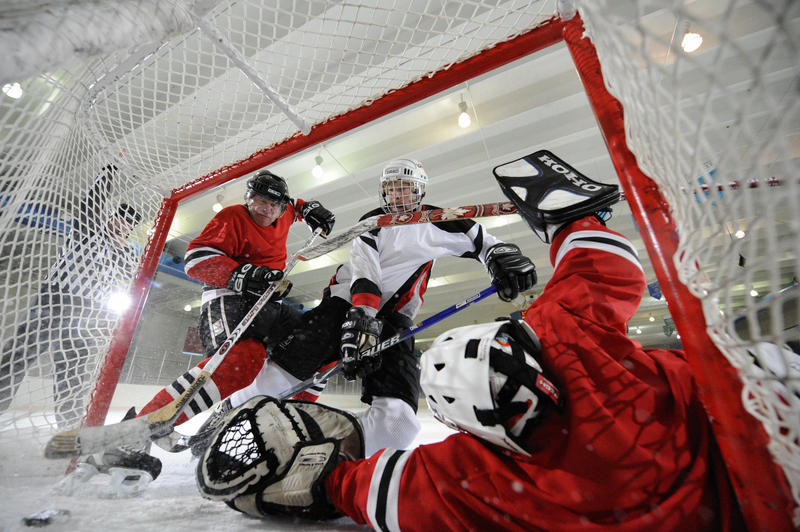 As ISO increases noise normally increases as the sensor capture capabilities (or lack thereof) and boost processing electronics take their toll on the quality of the captured image. There are many things that affect that noise, not the least of which is the size of the light-gathering pixels that capture the image. As discussed in detail in The Digital Sensor and The Digital Sensor Part 2, the size of the photosite is the reason the tiny sensors used in pocket point and shoot cameras are so limited in capabilities compared to the Digital SLR, which is where the major growth in the photographic market is now occurring. 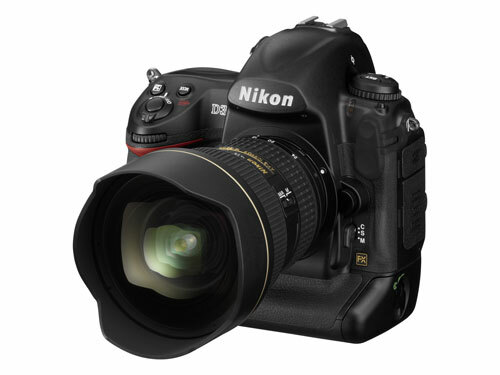 The impact of photosite size is ably demonstrated in one of today's hottest DSLR cameras - the Nikon D3. This $5000 camera is a 12.2MP full-frame camera. Since it can also handle Nikon DX crop lenses and create a 5MP image at the common APS-C size seen in most of today's DSLR cameras, it is easy to understand that this 12MP full-frame has the same photosite size as a 5MP crop-sensor DSLR. As discussed in detail in the Digital Sensor articles, the sensor is an analog light-gathering device. It is not a simple digital on-or-off digital device where size really matters very little. In a camera sensor the light gathering is analog and the larger the light gathering area, all else being equal, the better the light gathering ability. Compared to today's 10 to 14.6MP sensors in top DSLR cameras with a 14x24 sensor, the Nikon D3 has huge photosites in its 24x36mm 12MP sensor. Combined with CMOS technology and evolved electronics the Nikon D3 has a normal ISO range to ISO 6400. As a comparison, the Canon XSI top sensitivity is 1600 and most prosumer models extend to ISO 3200. As you can see in this dramatic ISO 6400 hockey shot produced by Dave Black for Nikon, D3 images at ISO 6400 are extremely low noise. Even more impressive is the ability to still capture usable images at ISO 12800 and all the way to ISO 25600 with much increased noise in a pinch. Clearly noise is related to the size of pixels in analog sensors, but that is only part of the story. Often the manufacturer of the camera has made decisions, either informed or due to lack of expertise, to not process for noise at high ISO. Cameras that appear to exhibit much increased noise at high ISOs are sometimes capable of much lower noise. The poor noise performance is sometimes the result of decisions by the camera maker in how files will be converted to RAW or JPEG files in camera or in post-processing software. 1. When doing comparison shots, have a mouse over load the second image and a mouseoff show the first. Or simply have one image and a list of links that dynamical and instantly change that image so comparisons can be made in detail. This is what any self respecting site that has to so with image comparisons would do. This screams "early 90s"
2. Though one is usually important, its not here for the even worse reason that the originals were all far better than the filtered images! Why bother uploading this rubbish? Did you even bother to compair or is your eye that attracted to the early digital noise reduction effect of smearing? 2b. Look at the boat image, look at the sail lines in the unaltered then the altered. HORRBLE and clear examples. Im not sure about this program. Im not sure what it can really do, but for someone to upload this crap as examples shows that I shouldent really rely on them for a review of the product. If i were trying to sell this product id have a word or two with you about taking this whole thing down because at 70$ this isnt aimed at grandma. This is aimed at the kind of people reading this! I wouldn't buy this if you gave me 70$ to screw up my images judging by this review. I stopped reading after seeing the Sigma images. The processed ones were smeared and flat compared to the original ones. I did not even look at the full size images. Just look at the sea in front of the lonely boat in one of the pictures. Also the trees/bushes on the right side hill above the houses. I mean how can you be satisfied with such a loss of detail? but all these camera, Ipod, Iphone..yada yada, E3 reviews are BOOOOORING !! Did I mention boring yet........zzzzzzzzzzzzzzzzzzzzz ? I only come here once a week at most because all this gadget crap is a snoozefest. No offense because I suppose it's slim pickings, just my 2 cents !! NR has its place, but even in these web-res samples you can see an utter devastation of detail in the water shots. NR simply replaces random noise with deterministic noise. Where possible you want it to be a subtle as possible. Most professional restoration or NR efforts are very hands on and manual and for good reason: differentiating between detail and noise is very non trivial, and even more-so with still images. IMHO in these samples it's about as subtle as a brick to the head. you have got to be kidding me. those Noiseware-processed Sigma images are TERRIBLE. it totally obliterates fine contrast and kills the resolution of the images. at these web image sizes, i clearly prefer the originals. i work closely with image editors at a professional stock photography site and believe me, those processed photos would NEVER be admitted into our library. the original "noisy" ones might be acceptable though (if the subject matter were more compelling, but that's a different matter). we all appreciate the effort, and we know the ad dollars help the site which in turn helps us, but please - leave the digital photography reviews to the pros, and stick to topics your staff is qualified to comment on. I didn't see a rebuttal here, but for those that compared the file sizes differ drastically which is why the quality difference that is not the case. JPEG has an incredibly hard time compressing noise, which is why when the noise is removed the file size drops by huge amounts. Take for example the two images below. I wandered outside and took an ISO 100 TIFF with my old Olympus C5050Z. I used Photoshop to chop out a 1000x1000 section of cloud. I saved the new image as a JPEG with very good details settings. I then did a Gaussian Blur of 1.5 pixels and saved the same image (simulating a noise reduction, I usually use Neat Image but recently went through a reinstall) and saved the image with the same JPEG settings. Now each image that is 1000x1000 is either 296505 bytes, or 119464 bytes, less than half the size. Keep in mind you can use this trick to blur things in images to make your content smaller. If you have a web cam you can put things just a shade out of focus to increase your frame rates, and also if you can find a video noise filter program for your web cam to seriously improve your frame rates with lower bandwidth. Many people have been complaining about your using 'Nvidia SLI' box for the high-ISO/noise-level test, yet you don't seem to care. I mean, what kind of reviwer uses 'glossy paper box' for noise tests? Please use something that has details. From time to time, you bashed internet reviews that are more like benchmarks and promised to bring field reviews. You not only failed to bring such reviews but also failed to do a simple benchmark one.